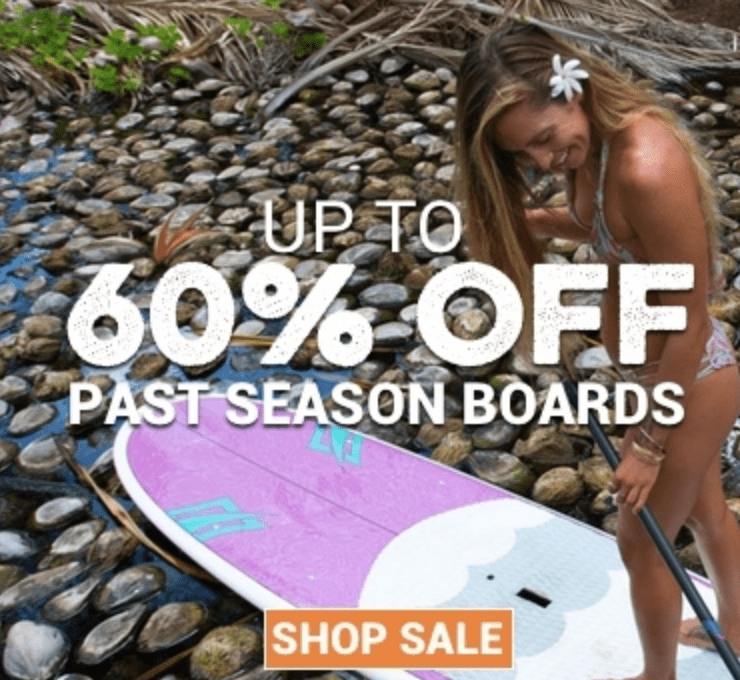 What Is The Newest Paddle Board Idea In The Market Today? We are always curious what the newest paddle board contraption is and it looks like Hobie is the creator of just that! 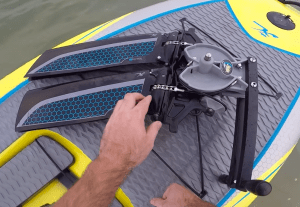 They have taken the great idea of a stand up paddle board and have added a device that looks like a stair stepper to it and some handle bars to give you a whole new experience! This is the Mirage Eclipse! What a creative idea. We will be offering them on our pedal boards for sale page as they become available to us. I thought for sure at first that it looks to be heavy and awkward, but it appears that I am wrong. It only weighs a few more pounds than a standard epoxy ocean board as they have kept the drive system very light and the handle bars don’t add much weight. Keep in mind that you can carry them separate so ideally it weighs the same and makes it easy to transport. Just put the drive system and bars in the back of your car and load the board as you would a standard paddle board. Keep in mind that you can also still use this as a standard paddle board so you are killing 2 birds with one stone if you want. Just leave the drive system out and bars off. You may have to buy a paddle, but you are good to go after that. It is a little pricey if you are simply looking for a paddle board ($2,495) but I have a feeling you will be using this more as a stand up pedal board. Hobie had created this 2 fin drive for their ever popular Hobie Mirage Pro Angler kayak. If you are into fishing, this kayak is the ultimate buy. Yes, it is spendy, but what great way to move around hands free while you can focus on fishing. Lightweight and durable with replacement parts readily available if need be from the factory or even on Amazon. They even have a Turbo fin upgrade kit apparently. Having this on the pedal board might be even more fun! The options could be endless with this new and great idea. I am impressed. I am also eager to get into one of these. If you have ridden one or even own one, we would love to hear your comments below!